Word of a new acting company in the theater-rich Twin Cities isn't normally big news, but Prime Productions aims to be a little different from the rest. The company wants to provide theater — and opportunity — to women past the age of 50. 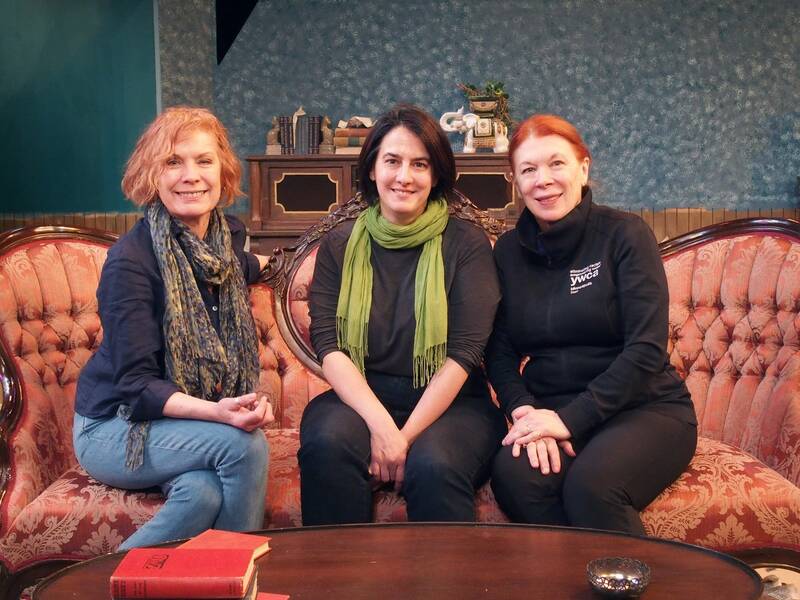 On stage at Mixed Blood Theatre this week, actors Candace Barrett Birk and Sue Scott were running through a scene as Gertrude Stein and Alice B. Toklas. "There is a ghost in this book," intones Birk, as Stein. "I repeat, there is a ghost in this book." "There is no ghost in the book," replies Scott, as Toklas. "I open it and I hear him," Stein insists. "Oh, yes!" says Stein with satisfaction. This is the beginning of "Little Wars," by Steven Carl McCasland. It's a play about a fictional meeting in Paris in the 1940s of some of the great female writers of the time. At one point in the play, Gertrude Stein is displeased to learn that Lillian Hellman, whom she does not like and whose name she insists on mispronouncing, is coming to visit. "It's just for a few hours. We'll have a few drinks ..." says Toklas. "Lily-Anne is a contemptible bore," Stein interrupts. "She and Yeats have that in common," Toklas spits back. "Must you speak ill of the dead?" moans Stein. "Oh, Gertrude, really! You hated William when he was alive," says Toklas. "And now that he is dead, I can appreciate him." "Then just picture Lillian dead too," suggests Toklas. "I've tried," says Stein. "It doesn't work." In addition to Hellman, Stein and Toklas are eventually joined by Agatha Christie, Dorothy Parker and acclaimed American psychoanalyst Miriam Gardiner. The play is being performed by Prime Productions. It's a company founded to do something about what director Shelli Place calls a huge void. She's describing the gap between the tiny number of roles available to older women actors and the huge number of what she calls overqualified actors for those roles in the Twin Cities. "And by overqualified, I mean a plethora of experience: 30, 40, 50 years' professional experience," she said. Place said Prime Productions came into being as a result of something that happened at a Guthrie Theater master class in 2015. She was there, as were director and producer Elena Giannetti and actor Alison Edwards. It was the time of year when many of the theaters in town were announcing their seasons. "We looked at these lists of plays being done and, whoa, there was almost nothing there for the mature actress," she said. And the roles that were available were kind of insulting, either rooted in stereotypes or so minor as to be invisible. The three decided it was time to form a company. Giannetti said they want to depict the vibrancy of older women. "Being able to start making that change in the theater, in a way that doesn't keep perpetuating those stereotypes, is what's the main goal, the main mission," she said. But it's not just about the actors, Place said. 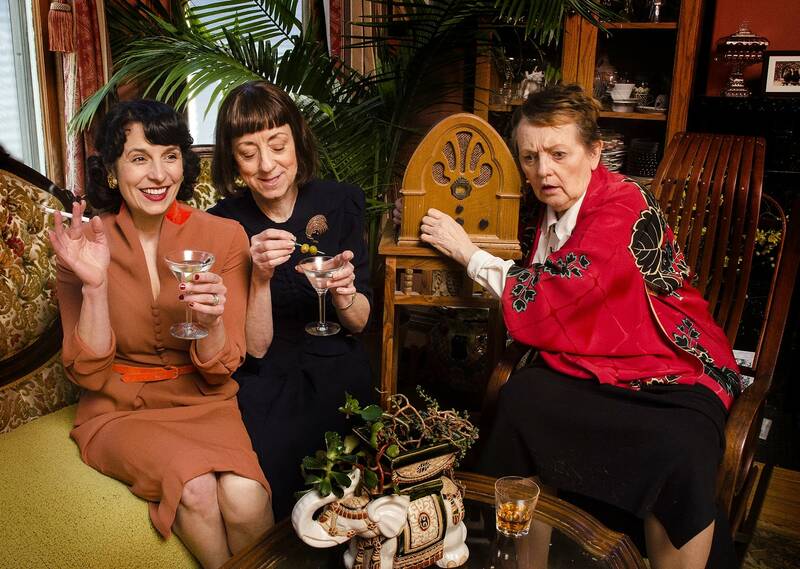 There is an audience out there, one that a lot of theaters see regularly: older women. "Women are living longer, and they are very smart and they are very well read, and they want to see their issues up there," she said. "Little Wars" is both funny and pointed as the women, who were at the top of their respective fields, chafe at how their male counterparts face fewer obstacles. Shelli Place said there is a timelessness to the dialogue about issues that still resonate today. "You could walk into a coffee shop and hear the same dialogue," she said. "Maybe not as heated, because there's not as much alcohol in coffee shops," she laughed. The three Prime Productions co-founders say the auditions for the play were swamped. They saw several actors who had retired because they couldn't find roles. Prime is now committed to readings and a play festival to tap into the wealth of talent, and to commission work with older female roles. There's a lot of excitement around this weekend's opening, Place said, and it sometimes gives her pause. Starting a theater company "is a young person's game," she said, adding that she sometimes wonders aloud why she's doing it. "And then somebody will say, 'Because it needed to be done,'" she said. And, Elena Giannetti added, that's why there are three of them.